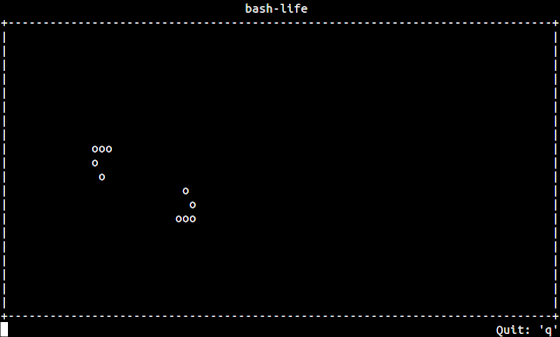 bash-life is a Game of Life simulator written in Bash. Full README and documentation can be found on GitHub, however some basic information is available here as well. A terminal with a size of at least 80×6 (80 columns, 6 rows). tput for terminal handling. Can be found in different ncurses packages on Linux distributions (see the table below for major distros).